On average, a restaurant can produce 150,000 lbs. of garbage per year but this issue extends farther than the food waste that comes from the food customers choose not to eat. According to a 2005 study at the University of Arizona, food waste as a percentage of the total food used is 9.55% in fast food establishments and 3.11% in full service restaurants in the United States. A restaurant can produce 150,000 pounds of garbage per year. 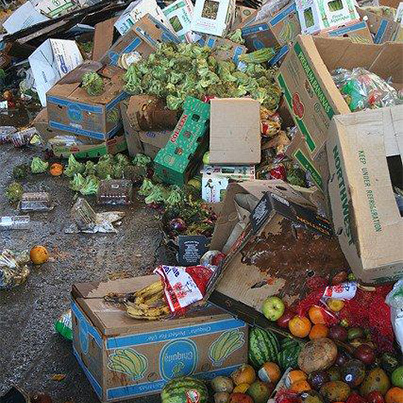 O perators are also faced with challenges of food waste during the food preparation process. Things such as: incorrectly prepared food, spoiled food, trim waste, or simply overproduction, constitutes an estimated 4-10% of purchased food, becoming waste before it ever gets served to the customer. An option that operators are looking into so that excess food does not necessarily end up as waste are Food Donation Programs. One organization they are leaning on to help in this challenge is Food Donation Connection. They provide an alternative to discarding surplus wholesome food by linking food service donors with surplus food to local hunger relief agencies. They accomplish this by creating and maintaining a reporting network that links available sources of food to those in need through existing charitable organizations. As an added bonus, donations can result in tax deductions. Waste costs go down while tax benefits go up. Some organizations help you track how much food you are donating to easily claim tax benefits. If Food Waste is an area of concern for you, tell us what ideas you have implemented to help reduce this in your operation. How do you assess prep waste to determine poor practices or highly wasteful items? Municipalities nation wide are adopting requirements for reducing curbside waste of up to 30% to divert excessive overloading of landfills. Composting of food waste (greens and browns) can help in these efforts. Proper handling of food waste for efficient recycling can help meet the reductions targeted by cities, and help maintain sustainable soil conservation. Very good point. There is a growing trend towards processes, legal and self-motivating, that are helping to reduce food waste.